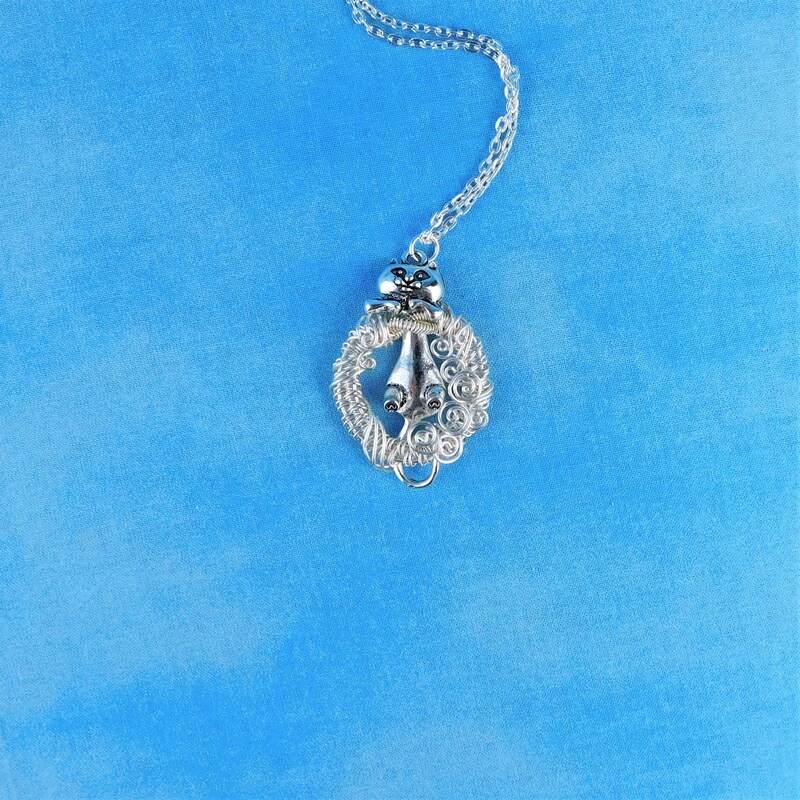 An adorable Kitty is trying to "Hang in there" from the top of a artistically hand woven and sculpted wreath. 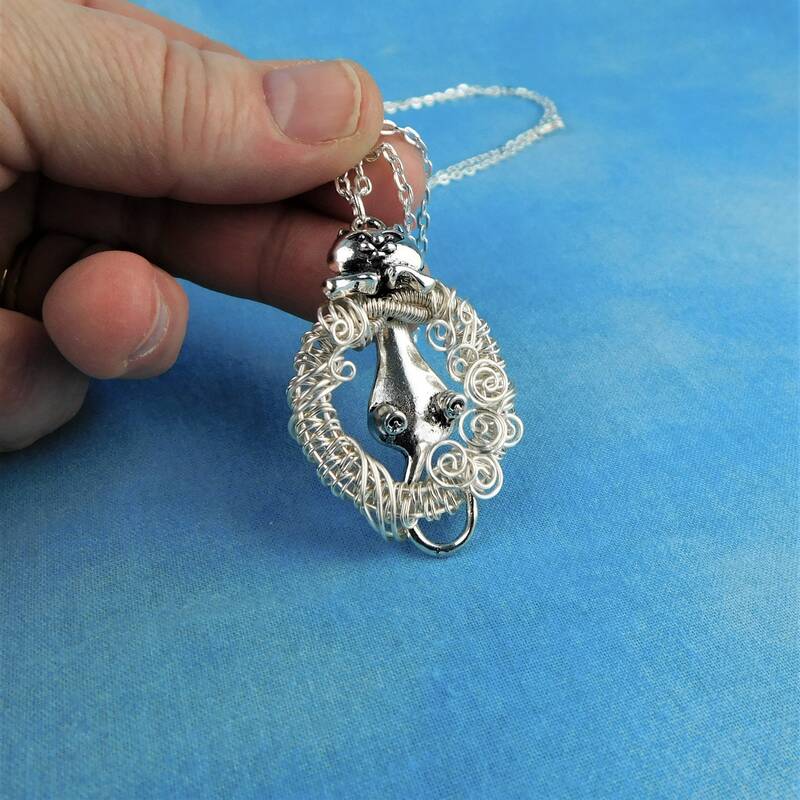 It was created using only four individual strands of non tarnish wire. 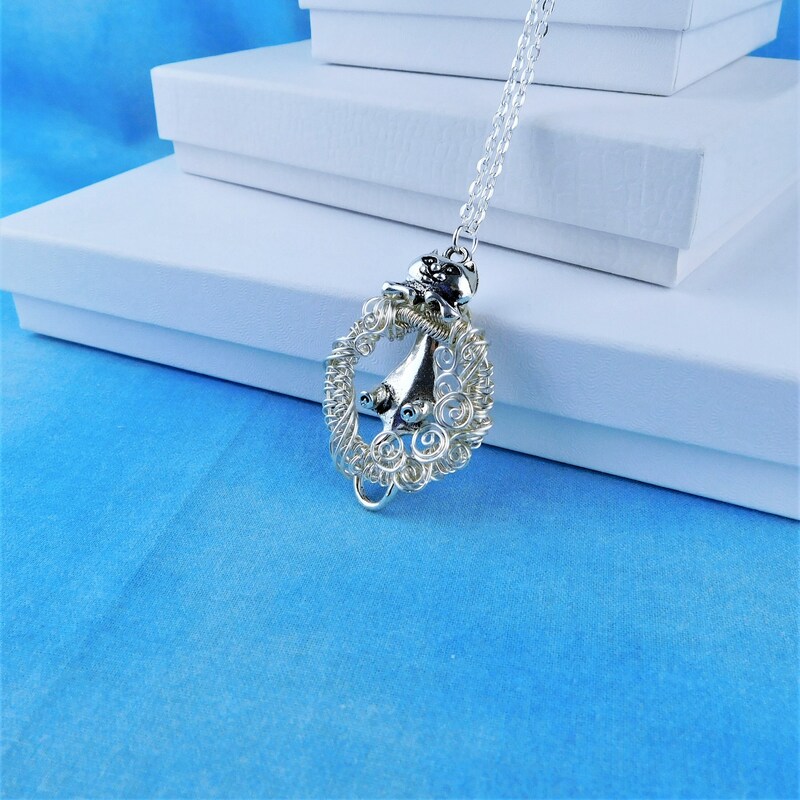 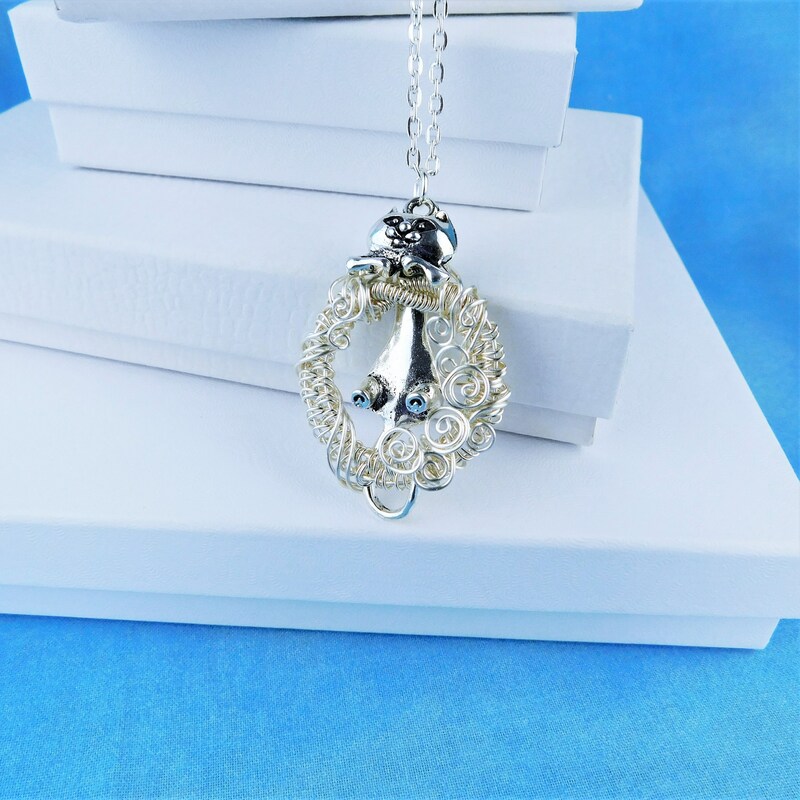 This whimsical artisan crafted pendant is a message to be strong and endure. 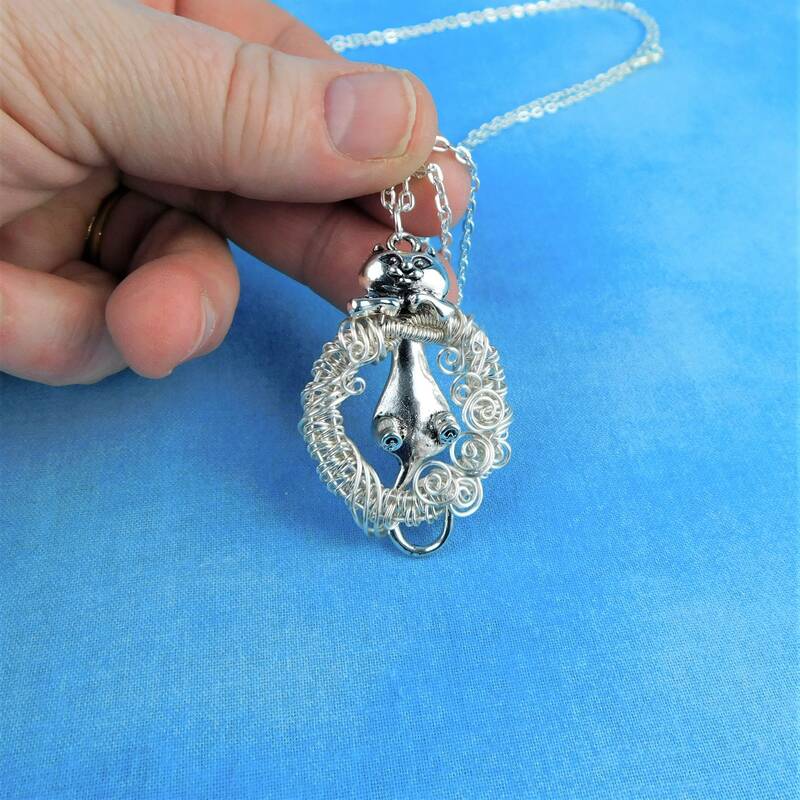 It would be a fun present for the cat lover in your life. 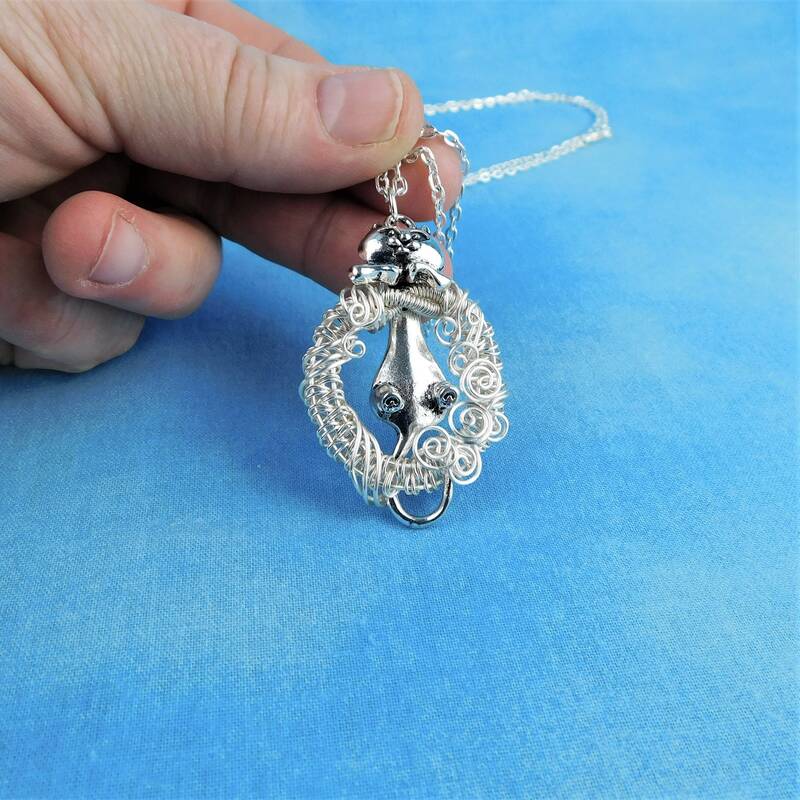 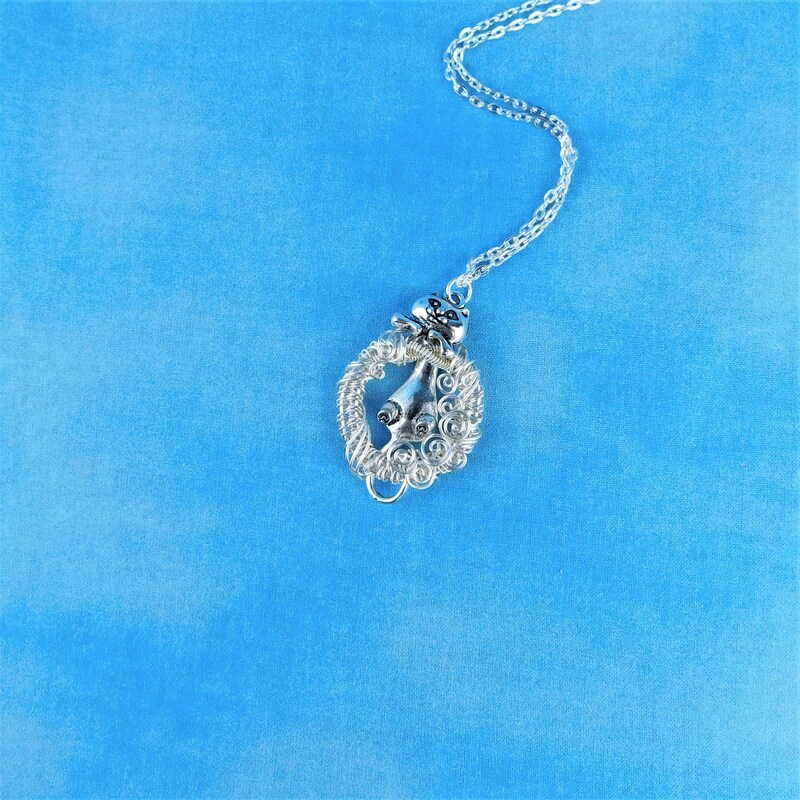 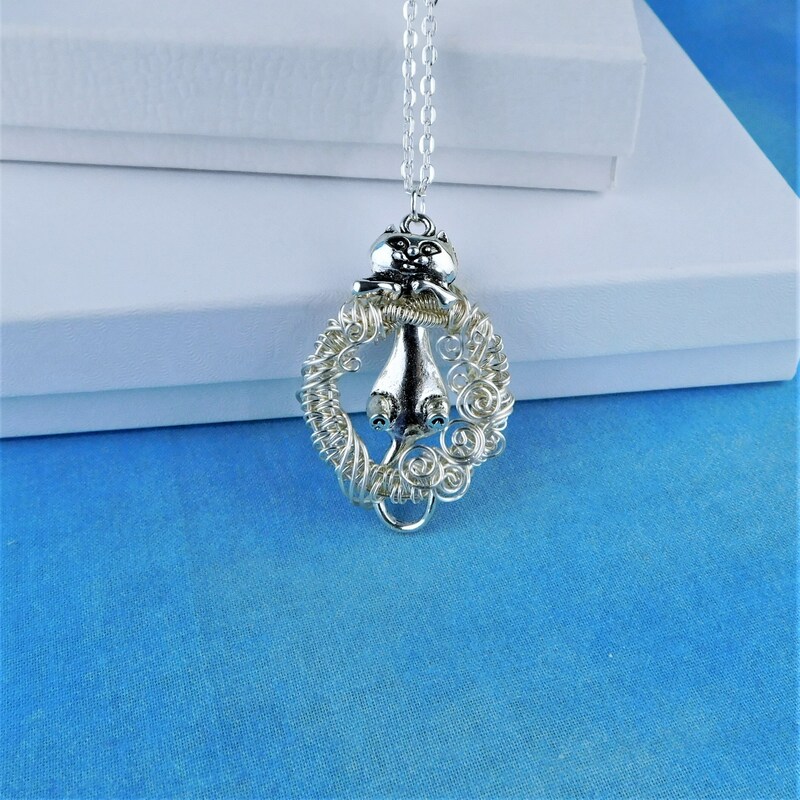 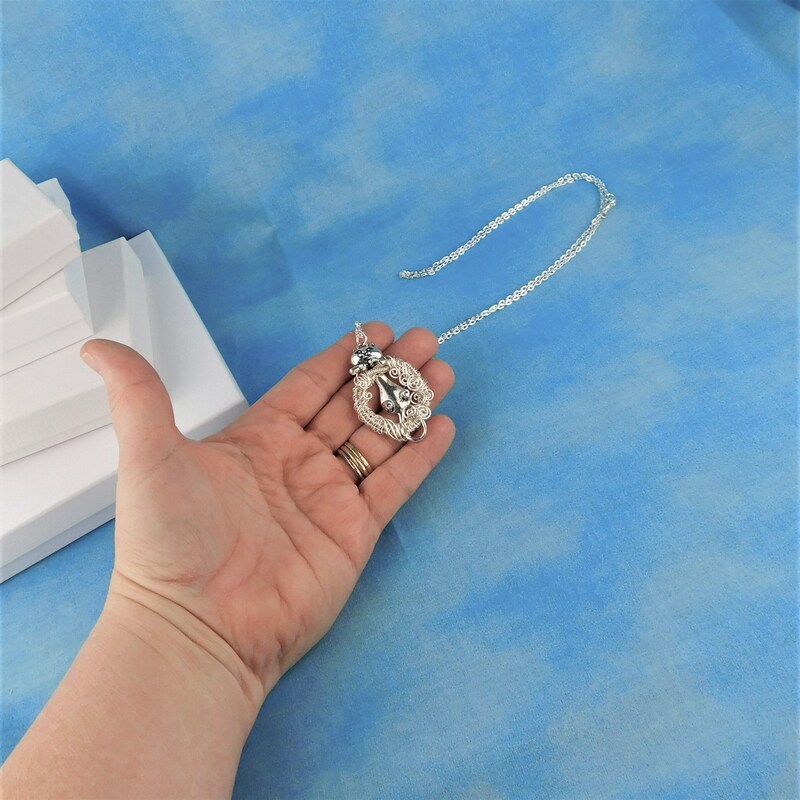 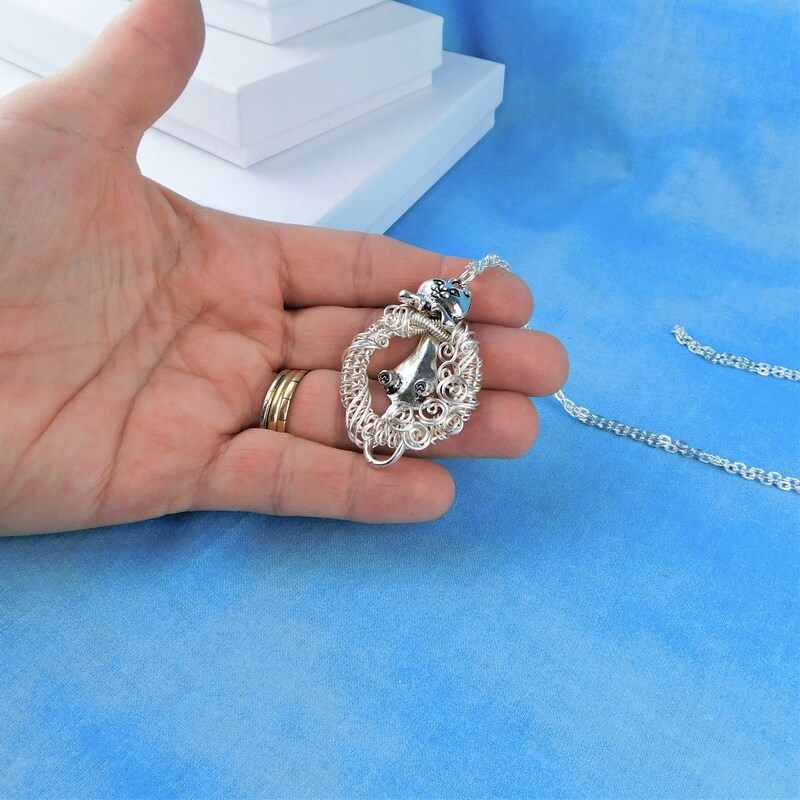 The artistic, handcrafted pendant measures 1 1/2 inches by 1 1/4 inches and comes with a FREE coordinating chain with lobster claw clasp, measured to your preferred length.